A few weeks ago we headed down to Hershey in Pennsylvania to experience some of the great family-friendly activities that Hershey has to offer. 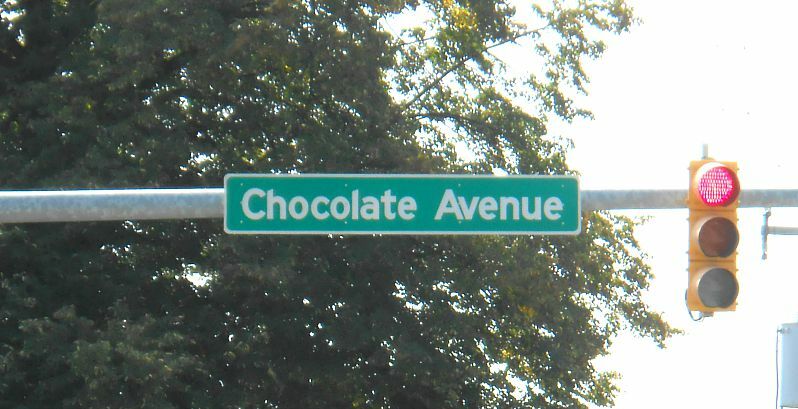 If you have never visited the sweetest place on earth, you really should! We started off our day at ZooAmerica and then headed over to Hershey's Chocolate World. Once we were there, we decided to take a sightseeing tour with Hershey Trolley Works. We have known about these educational, historical and fun tours...but had never taken one until last month. The summer trolley adventure runs June through the end of August and you can find the complete schedule on their web site. If you are traveling in a group, you can contact them to reserve a day & time for your group to take a sightseeing tour. During the month of September they will be bringing back their very popular The History & Chocolate Tour. 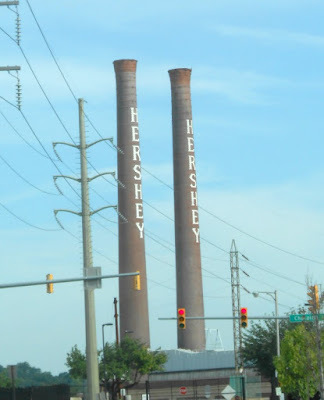 This tour really features all of the great history of Milton S. Hershey and all of the chocolate candy he made famous! Great for chocolate lovers and history buffs! One of the things I really loved about the tour is that your tour guides and conductors all dress the part! I loved seeing them wearing their uniforms! These tours can get very crowded and with very long waiting lines, so if you can...arrive early in the morning to get ahead of the crowds. If you're really lucky, you may spot the famous Hershey's Kissmobile while you're out doing the tour. Often times you can see it at local events or as it's driving through the downtown area. Fun! Admission varies from $12.45 (for seniors) to $12.95 for adults, kids ages 3 through 12 is $10.95 per child and children 2 and under are FREE with a paid adult. You can find their complete schedule and additional information by visiting the Hershey Trolley Works web site. Update: These rates have slightly increased over the past few years, please visit their website for the MOST CURRENT and up to date information. Thanks!